Nike's latest campaign featuring controversial footballer, Colin Kaepernick, has proved a win for the brand. But would Australian marketers be brave enough to follow suit? The decision by Nike to feature controversial American footballer, Colin Kaepernick, in a campaign to celebrate the 30th anniversary of ‘Just Do It’ took what might have been a strong but potentially forgettable creative and elevated it into the global dialogue. But would any Australian brand dare to do something similar? In an era where taking a stand on any issue risks offending large and highly vocal swathes of customers, can a brand really afford the potential blowback of standing for something? Kaepernick had been a controversial figure since 2016 when he chose to kneel during the playing the US national anthem in protest of racism and police shootings of unarmed African Americans. That action sparked intense debate, which was subsequently rekindled by the Nike campaign. Many Nike fans who opposed Kaepernick’s involvement publicly posted videos of themselves burning Nike products in protest. Nike went on the fan the flames by releasing a print ad with instructions for how to burn its products safely. The company was also accused of ‘woke-washing’ by appropriating a social cause for commercial gain. Despite the backlash – and a small initial drop in its share price - Nike chief executive, Mark Parker, described the campaign as creating record engagement and driving sales. It was mentioned in more than 1 million social media posts per day in the immediate aftermath of news of the campaign breaking on 3 September, almost double the brand’s usual volume. According to the research company, Edison Trends, Nike went on to report a 31 per cent increase in online sales in the month following the creative’s debut. Exactly what got the decision within Nike over the line to feature Kaepernick may never be known, but it is safe to assume the company had undertaken extensive modelling of the potential backlash and sales surge and weighed the consequences. Research from YouGov suggests Nike customers are generally more supports of companies that take a stand on social issues than the public, and Nike customers were twice as likely to have a positive opinion of Kaepernick than a negative one. Nike also has a history of joining social debate through its advertising, originally addressing ageism in the inaugural ‘Just Do It’ campaign in 1998 and focusing on women’s rights in athletics in 1995. In the same year, it featured HIV positive marathon runner, Ric Muñoz, in a campaign, and in 2017 featured five Middle Eastern women who were challenging stereotypes. However, the company also has a long association with the use of sweatshops to produce footwear and clothing stretching back to the 1970s and was the subject of mass protests in 2005. While the debate regarding Kaepernick’s actions remains divisive, the campaign has certainly achieved positive goals for the company. According to partner at boutique strategy consultancy Growth Mantra, Jess Gill, the campaign has been excellent in terms of reaffirming Nike’s values in the minds of consumers, and promoting itself within its competitive crowd. “If you look at the trends shaping the world and things consumers are looking for, authenticity is one of those things,” she tells CMO. “We are in a pretty vanilla environment at the moment. Everything is pretty moderate. If you are a ‘good person’ you don’t want to explore things too much because you don’t want to be positioned as something that you may or may not be. While the personal blowback can be powerful, Gill says so too is the need for many brands to remain focused on shareholder value rather than customer value. 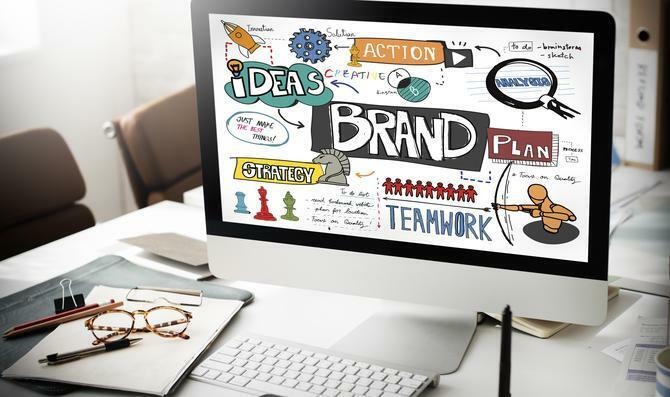 UNSW Scientia professor of marketing, John Roberts, also believes sensitivity to commercial returns may be crushing the willingness of brand owners to move into more controversial territories. Roberts argues timidity is leading brands away from making more controversial statements in the short term or building matching brand propositions in the long term. As a result, they could be missing strong potential gains. “Any strategy has to be evaluated relative to the alternative,” Roberts says. “So if you don’t do this strategy, what do you do to keep the brand exciting and vital and contemporary? And if you do do this strategy, what do you do next?